Vinyl patio furniture begins to look worn and dirty if it's consistently left out in the weather, but there are several different cleaning methods using common household products. Start with the gentlest method and move on to more aggressive treatments to find a solution that works for your furniture. A garden hose makes rinsing away residue quick, while the pressure of the water aids in dislodging stubborn grime. Mix 1/4 cup of liquid dish soap with 1 gallon of hot water in a small bucket. 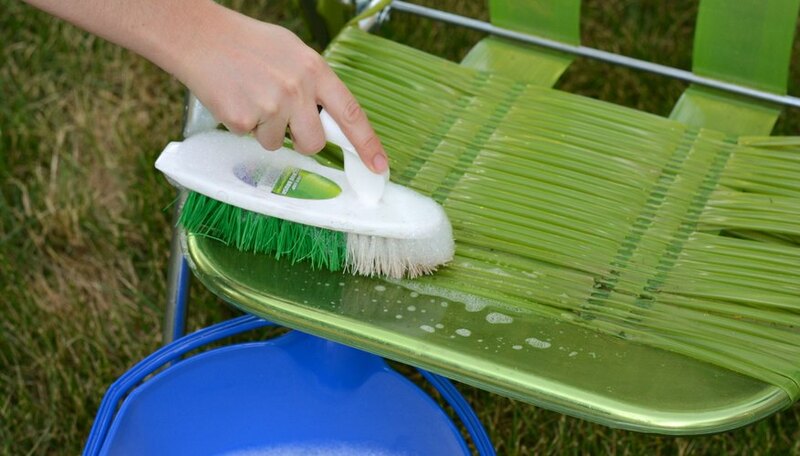 Clean the vinyl patio furniture with the soapy water using a soft scrub brush and then rinse with clean water. This is the gentlest way to clean, but may not be effective if the furniture is excessively dirty. 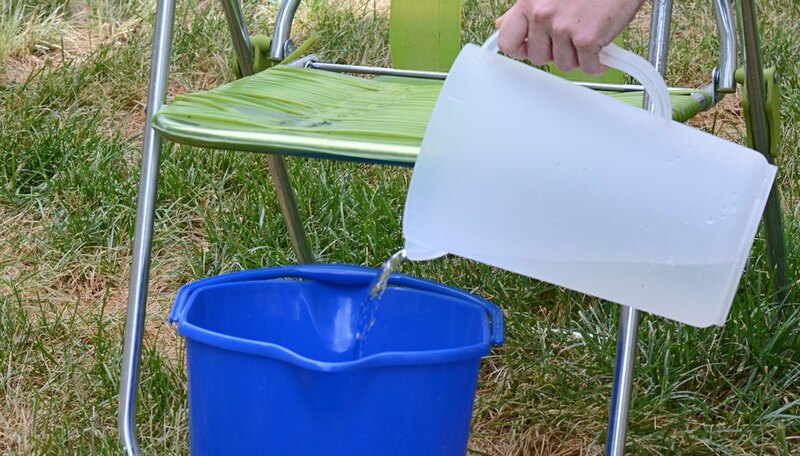 Combine one part washing soda and 10 parts water in a small bucket. Apply the solution to the vinyl patio furniture gently with a sponge or clean cotton cloth. 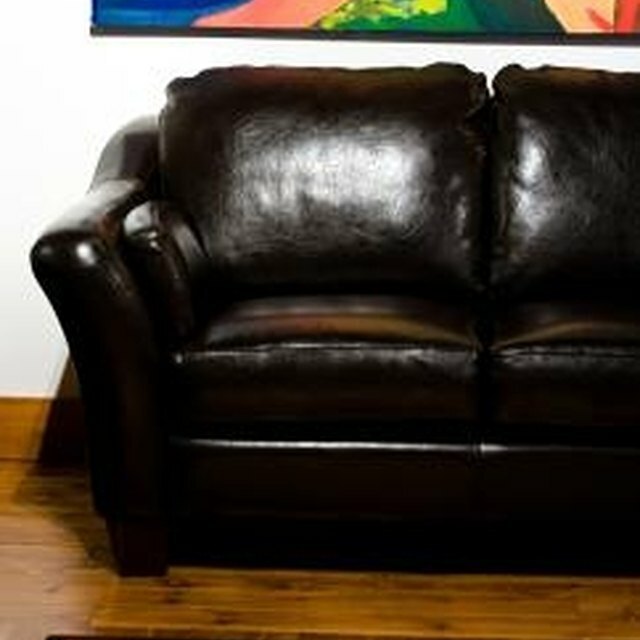 Rinse clean with cool water and allow the furniture to dry completely. Washing soda is a non-toxic cleaner found in the laundry aisle of your local supermarket. It cuts through tough dirt and grime with very little effort. Combine 1/4 cup of liquid dishwasher detergent with 1 gallon of water in a small bucket. Put on rubber gloves and apply the solution directly to the vinyl patio furniture with a sponge or clean, cotton cloth. Rinse clean with cool water. If necessary, use a scrub brush to remove stubborn dirt. Dilute white distilled vinegar in water. Combine equal parts of each in a large spray bottle. 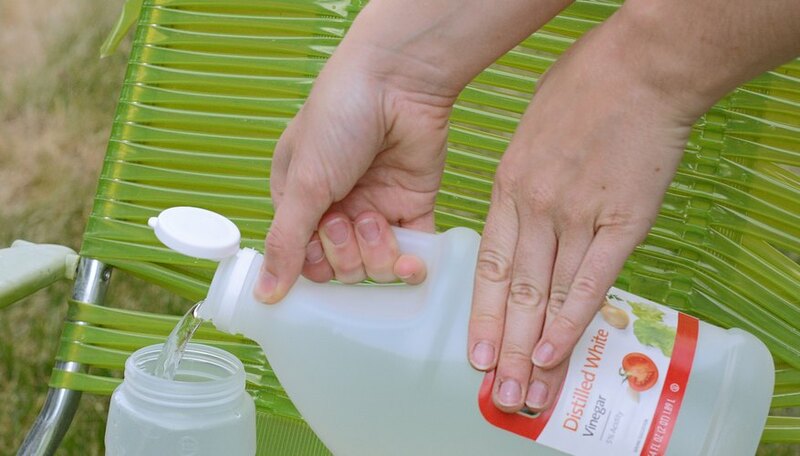 Spray the solution onto the vinyl patio furniture and scrub thoroughly with a sponge or scrub brush. Rinse clean with cool water. 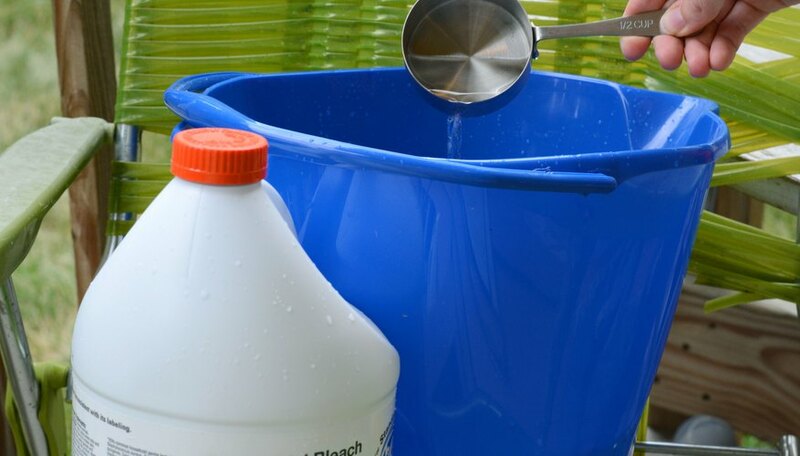 Combine 1/2 cup of bleach with 1 gallon of water in a small bucket. 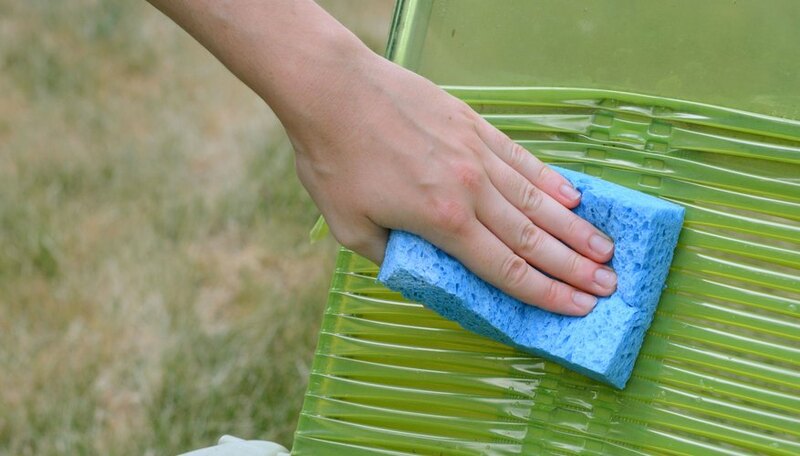 Put on rubber gloves and apply the solution directly to the vinyl patio furniture with a sponge or cloth. Rinse clean with cool water. Bleach may discolor colored vinyl furniture; proceed with caution.